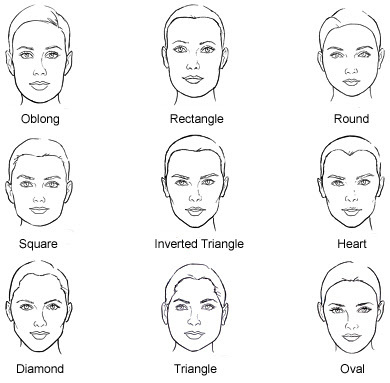 Based on this chart, which face shape do you have? Hubby & I have decided I'm a rectangle. I've recently started wearing glasses again (no I didn't switch to contacts...I just didn't wear anything) and the ones I have are old, scratched and slightly bent. I'm thinking of getting a new pair, but I'm unsure what style to try. This got me thinking about what styles would flatter my face and for that matter, what exactly is my face shape? Did you just try them on until you find a pair you liked, or research a little first? "Your face shape is obviously longer than it is wide with a square jaw-line. You may also have a square hairline" and went on to gave me these suggestions. Unfortunately there aren't really any photos of Sandy wearing glasses for me to draw any inspiration from. Pity. so, I found this nifty site: frames direct where you can upload a pic of yourself and do a virtual try on. It's a fun tool to play with if you have some spare time or are procrastinating something else :) I was surprised by what I liked. I wish I could have saved a version of the pic with my glasses though. If they're good enough for Demi they're good enough for me. 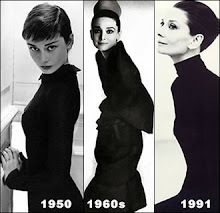 And, look at that jawline! I think she's a rectangle too. I really like Demi's glasses. There was a French flight attendant on our last flight to Paris who wore glasses like that and she was tres chic. I found a pair while I was over there, but they looked ridiculous on me. I think I am oval - most glasses don't look great on me, but I can usually find a pair that looks okay. I say go for the Demi look! They look so big! I found a place online where you can buy glasses really cheaply. I like those frames! Honestly, I'd have twenty pairs of glasses if I could. I'd love to have different colors and styles to change out. I currently have two pairs and I like my old ones better (they're easier to see with). My newer ones have a glare on them that drive me crazy. I'm allowed one pair of frames every two years from my insurance company and my choice is very, very limited - like only two were in the running last go around. I really want a pair of red glasses. I had a pair once, but the prescription is bad on them and I can't see with them. Can't wait to see what you'll buy. I know you'll get a great pair! It takes me FOREVER to choose glasses! I try on every pair available at least 3 times. It's pretty traumatic. My boyfriend chooses my glasses because he says I have no taste whatsoever. Which may be true, alas. I love big, big glasses, which he says makes me look like I'm playing dress up. Tant pis--I like big glasses. Still I let him have his way because it's more fun letting him shop for/with me than me doing it alone. I've been told I have an oval face, but it may be a diamond. I know what you mean! I had a guy friend once who said a girl's "CQ" (cuteness quotient) went up 10 points just by wearing glasses! Too funny.